Brussels (AFP) - The trial of a Frenchman accused of shooting dead four people at the Jewish museum of Belgium was briefly interrupted on Monday as police were summoned to question a juror. "We cannot start the closing arguments under these conditions," judge Laurence Massart said, after recusing the juror for having communicated with outside parties. "The sixth juror contacted police officials on Friday afternoon to say he met with parties not heard in this trial with whom he discussed the case file," she added. The juror related to the court that he was approached by a colleague at work who said she was a witness to the assault and shared an elaborate conspiracy theory involving the Belgian foreign minister. "This is probably a person in search of attention," said Sebastien Courtoy, the lawyer for the accused Mehdi Nemmouche, referring to the juror's work colleague. 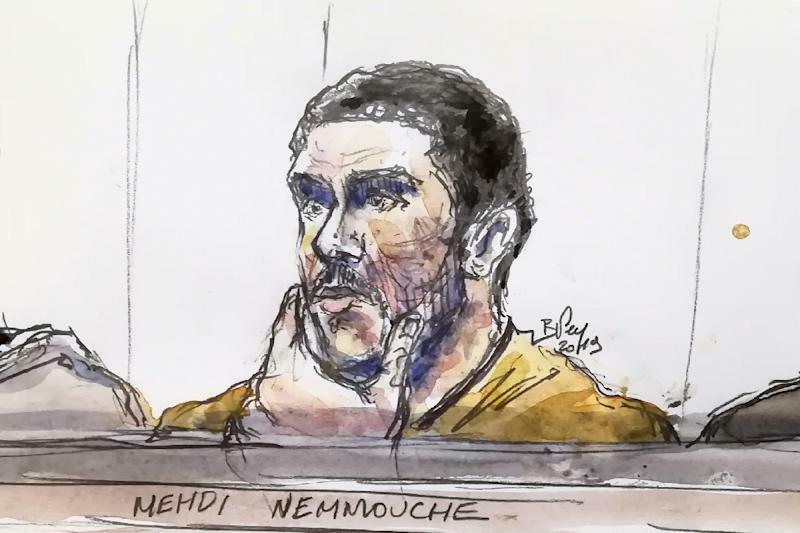 French national Nemmouche, 33, the accused jihadist gunman, faces life in prison if convicted of the "terrorist murder" of four people during the anti-Semitic attack on May 24, 2014. The trial, which began on January 10, was scheduled to hear closing arguments Monday after witness testimonies ended on Friday. A verdict is expected in early March. Nemmouche is being tried along with fellow Frenchman Nacer Bendrer, a petty criminal from Marseilles who is accused of supplying the weapons for the attack.